We would like to congratulate our 2018 scholarship recipients. As always, it was very difficult choosing the recipients with countless deserving applicants. To all who applied, we thank you and remind those who did not receive a scholarship to try again next year. Osuuspankki extends with best wishes for every success in your studies. Contact our loan department for details. Have you thought about the importance of starting a credit rating? Although education is probably your main focus right now, we can help you start a credit rating so you'll be ready for the next stage of your life. 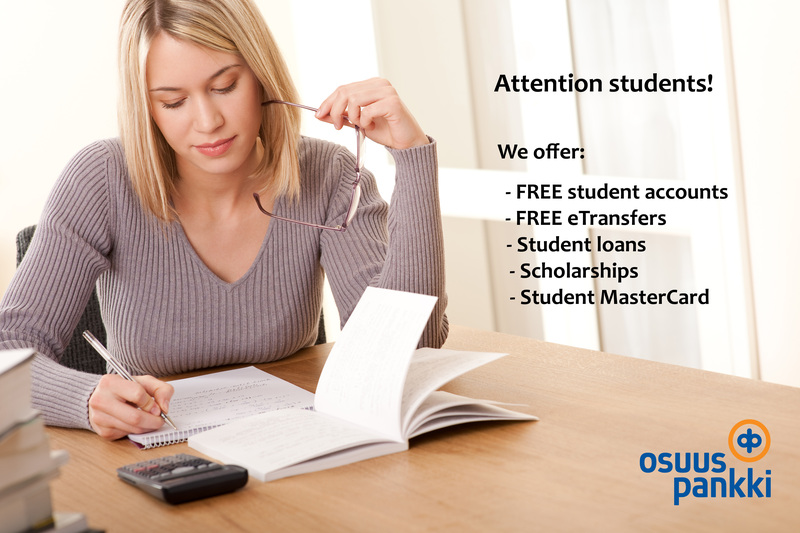 It’s easy, our advice is free, just like your student account! Let us give you a couple of hints on how you can improve your financial life now, for your future. File a tax return, even if you have not earned much income. It will help you start to build your TFSA contribution limit. Apply for a Student MasterCard® to start building your credit score today.